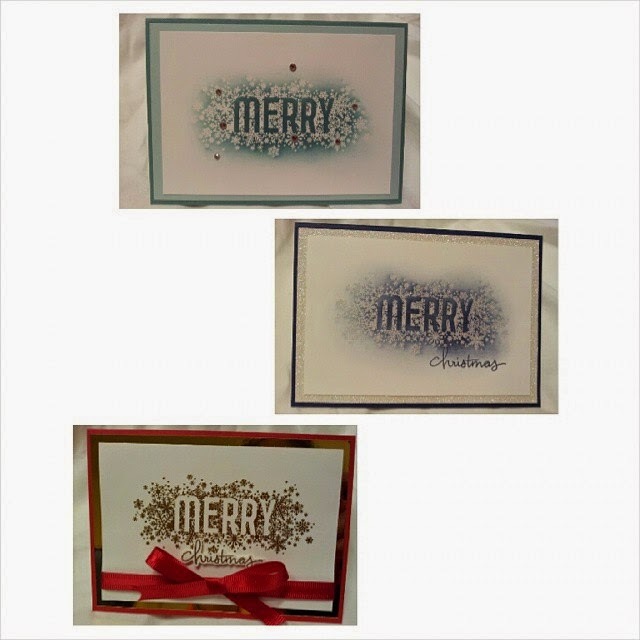 Julia's Cards: Merry Merry Merry....Christmas! I just fell in love with the new stamp set Seasonally Scattered -page 43 of the new Holiday Catalogue. I just love how some heat embossing can turn it into a really elegant card! The top one I just heat embossed it with clear embossing powder and sponged over it over with Lost Lagoon and added a few diamantes. The next one is heat embossed with Iridescence which has a sparkle to it and I added a layer of Dazzling Diamond glitter cardstock and sponged with Night of Navy. The last one is just plain gold embossed mixed with gold card stock and Real Red - so traditional and so stylish! 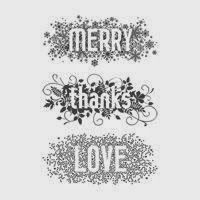 You don't always HAVE to have 'Christmas' with the 'MERRY' - I only did on two of the three.